Paradigm Consulting Inc is a group of dedicated specialists focused on delivering retirement plan consulting services. 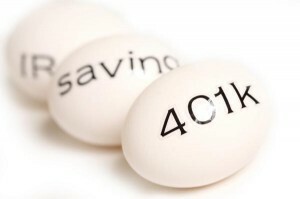 With over 25 years of industry experience, Paradigm Consulting, Inc. has become one of Central New York’s largest independent 401(k) consulting firms. From investment analysis and due diligence to employee communications and vendor fee benchmarking, our process-driven solutions help reduce the risk for employers from corporate and personal financial liability, while increasing investment opportunities and improving overall plan value. Every plan sponsor has unique goals and objectives. As your dedicated consultant, Paradigm Consulting, Inc. will create an ongoing service plan specific to your needs. The service cycle begins with a thorough review of your plan to ensure total plan costs are relevant to the services being received. On an ongoing basis, your relationship manager will examine your plan design with ideas to improve participation and operational efficiency. Paradigm Consulting, Inc. helps navigate fiduciary responsibility through robust, systematic, quantitative and qualitative investment analysis involving over 150 pages of detailed reports utilizing 15+ industry standard analytical measurements. Our due diligence process goes far beyond the Morningstar 5-star ratings and instead focuses on a cyclical approach of investment selection, monitoring, and ongoing documentation and review. Through Paradigm Consulting’s comprehensive communication services, we can help increase participation, satisfaction, and understanding of asset allocation and risk tolerance. This also helps plan sponsors to meet 404(c) requirements to provide adequate education about investing in the company’s 401(k) plan. Upon being hired, Paradigm Consulting Inc. will provide you a written promise detailing the specific services provided and the corresponding frequency. This way, clients can periodically compare the written “promise” with the actual “delivery” of those services. We have developed meaningful relationships with a wide variety of clientele. We embrace our commitment to excellence and will work hard to maintain and develop a personal lasting partnership. 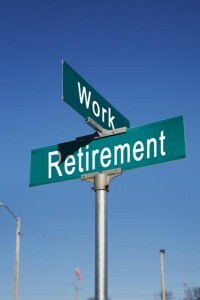 Paradigm Consulting, Inc. helps to create successful retirement plan experiences for employers and employees. Contact us today.